Amy Reed gets a video message at work one day last April. She opens it up and hits ‘play’ and immediately starts to cry. Because for the first time in 13 years she’s seeing her daughter walk. When Sammi Reed was 18 months old she took a step and ended up falling off of the kitchen chair and the next morning nothing was the same. “I woke up this one morning and I couldn’t breathe. The ambulance was coming and I was turning purple. And my first memory is asking if the lights where for me,” sophomore Sammi Reed said. The date was March 3, 1997 and it was a normal day. The phone would ring and Sammi Reed would get up on the kitchen chair to answer it like all of the other times but this time she fell. “There was a phone and it was ringing and I reached for it on the kitchen chair and I fell off. I think it’s kind of funny because now I’m stuck in a wheelchair,” Reed said. said. C4-C7 is the vertebras in her spine that were affected by her fall. ges to the rest of her body,” Amy Reed said. push and move things around. At the same time Amy and Russ Reed, her parents, were being investigated by the Omaha Police and the Child Protective Services (CPS). “We were both questioned in separately by the police. We think that they wanted to make sure that our stories matched up. It was the scariest experience,” Russ Reed said. After Sammi got out of St. Joe’s Hospital, she was sent to a rehab facility in New Jersey with her mom for a total of two months. Russ stayed back here in Omaha to take care of what needed to change. For example they needed a van that could handle Sam’s new equipment and a place where they could live that had no stairs. When she came back from the rehab facility in New Jersey, she continued to go to therapy. She goes to therapy three times a week to continue strengthening her muscles and work on walking “because apparently I can do that now,” Sammi said. “People assume that because I’m in a wheelchair that I belong in SPED classes but in reality I’m in more than a few normal classes and two honors classes,” Sammi said. other. For every grade between 4th t now she’s won over 42 medals and ribbons. couple times and vice versa. The smallest mistake can alter your life but that doesn’t mean you stop living it. follow.” And near in the future she plans on walking across the stage to get her diploma with the rest of the class of 2013. She’s determined and with her parent’s support she will do it. 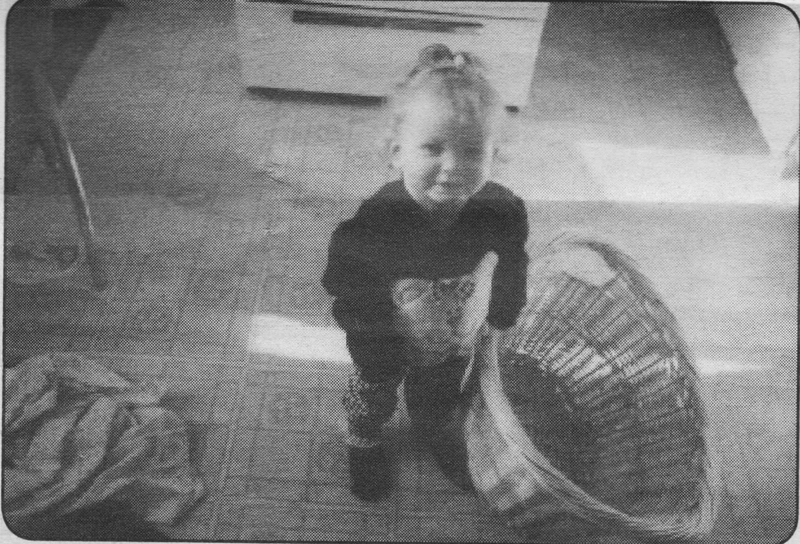 Sammi holds a laundry basket in her kitchen. 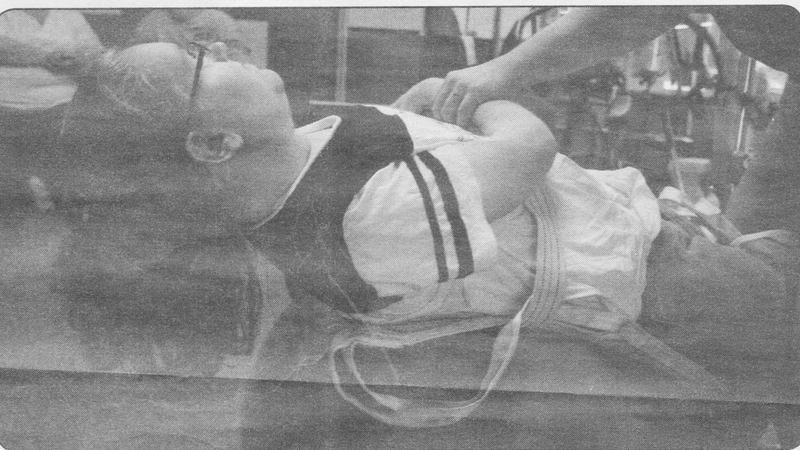 She later suffered a spinal cord injury after a fall from a kitchen chair. Sammi balances on an excersise ball with only the help of her therapists hand during a therapy session . This exercise will help her the balance and control of her body and bring her one step closer to being able to walk.